By having to depend on their own self-efforts to eliminate cancer and prevent its recurrence, people have reconnected with Divinity and discovered their true essence. All cancer survivors have made some holistic practice like yoga and meditation an integral part of their healing programme. This entry was posted in Alternative Medicine, Alternative Therapy, bmp, Body Healing, body mind, body mind programming, body-mind-spirit, Book, Book Read, Book Reading, books, Chakra, Chakra heal, Chakra healing, Conversational Programming, cure, Disease, Good Reads, guide, handbook, heal, Heal body, heal self, Heal your soul, Heal yourself, Healing, Health, health manual, healthy life, Healthy lifestyle, help, help books, helper, helping, holistic, Holistic healing books, Life Positive, Life Positive Publications, manage health, manage your health, manual, medicine, meditation, mind-body-spirit, Motivational Books, mystical laws, new launch, positive life, Programming, Read, Read a book, Reading, reading a book, self discovery books, self heal, Self help, self love, Self-healing, Soul Healing, spiritual, Spiritual Books, spiritual healing, spiritual read, spiritual reading, Spiritual reads, spirituality, Teach chakra healing, Teach chakras, Teach healing, Teaching, therapy, theta healing, total wellness, tutorial, Uncategorized, wellness, wellness manual, workshops and tagged b.k.chandrashekhar, chakra, chakra healing on 15/09/2014 by lifepositivepublications. This book explores the simple ways of attaining the perfection of a human being with the invisible doctor sitting inside us. This entry was posted in Alternative Medicine, Alternative Therapy, bmp, Body Healing, body mind, body mind programming, body-mind-spirit, Book, book for parents, book launch, Book Read, Book Reading, books, Chakra, Chakra heal, Chakra healing, cure, Disease, Good Reads, guide, handbook, heal, Heal body, heal self, Heal yourself, Healing, Health, healthy life, Healthy lifestyle, holistic, Holistic healing books, Invisible doctor, Life Positive, Life Positive Publications, manage health, manage your health, manual, medicine, mind-body-spirit, positive life, Read, Read a book, Reading, reading a book, self heal, Self-healing, spiritual, spiritual healing, spiritual read, spiritual reading, Spiritual reads, Teach chakra healing, Teach chakras, Teach healing, Teaching, therapy, total wellness, tutorial, Uncategorized, wellness, wellness manual, workshops and tagged books, disease on 12/09/2014 by lifepositivepublications. If your immune system disbands its army, there will be no-one to check these miscreant, aberrant cells, and unhindered, they will flourish and grow like vandals in the absence of a police force. This entry was posted in Alternative Medicine, Alternative Therapy, bmp, Body Healing, body mind, body mind programming, body-mind-spirit, Book, Book Read, Book Reading, books, cure, Disease, Good Reads, guide, handbook, heal, heal self, Heal your soul, Heal yourself, Healing, Health, health management, healthy life, Healthy lifestyle, holistic, Holistic healing books, hypnotherapy, Inspirational Books, Life Positive, Life Positive Publications, lifestyle, manage health, manage your health, Manifestation, medicine, meditation, mind-body-spirit, mystical laws, mystical laws for self healing, mystical laws of self healing, NLP, positive life, Programming, psychotherapy, Read, Read a book, Reading, reading a book, self discovery books, self heal, Self help, self love, Self-healing, seven mystical laws, seven mystical laws of self healing, soul cleansing, Soul Healing, soul space, spiritual, Spiritual Books, spiritual healing, spiritual read, spiritual reading, Spiritual reads, spirituality, therapy, theta healing, total wellness, Uncategorized, wellness, workshops on 23/08/2014 by lifepositivepublications. Tune into the universal mind where all miracles are born, and recover from chronic or life threatening diseases. Invoke the infinite power of the universe in the body, mind and soul of your very self. Experience Hands-on techniques of self Healing, meditation exercises and timeless wisdom. 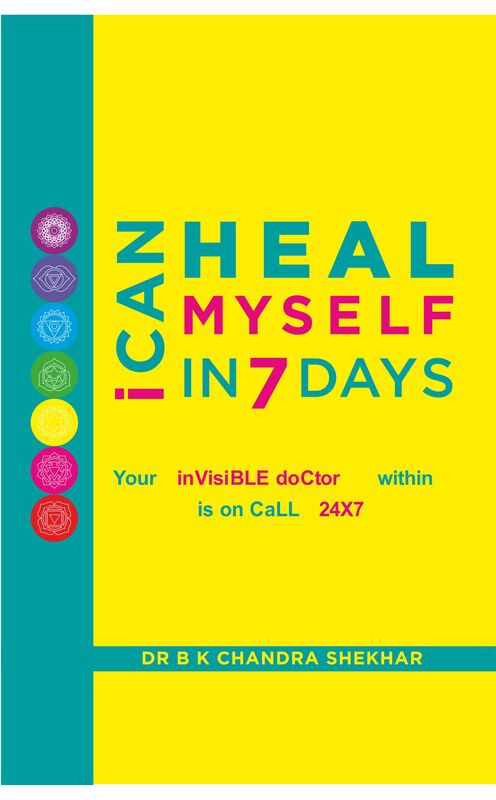 Facilitator Sanjiv Ranjan, a gifted healer, visionary and reformist writer of the Seven Mystical Laws of Self- Healing is the Founder of All India Institute of Mind Body Medicine. He is also a Clinical Hypnotherapist from California Institute of Hypnosis, Theta Healer from Vianna Stibal’s THINK Institute, USA, Practitioner of Art of Organ Regeneration from Arcady Petrov Foundation. Sanjiv Ranjan, started his career in the corporate world as a creative resource and has worked with the likes of Lintas, Mudra, Percept and Everest Advertising, creating many award winning successful ad campaigns and providing branding and communication solutions to some of the biggest names in the corporate industry. Feeling drawn towards the vast potential of the human mind, and the deeply mysterious science of self healing, his fascination grew to an intense search. He then studied under various masters who taught him the deeper secrets of the mind body connection, and it is from there that his vision of transformation medicine as well as personal power was born. he is well versed with the ancient techniques of healing and communicating with the body mind. His insights on personal power and the nature of the self, have helped many patients to recover from serious life threatening diseases for which there was no known cure except for taking lifelong medication and then succumbing to their disease. This entry was posted in Alternative Medicine, Alternative Therapy, bmp, Body Healing, body mind, body mind programming, body-mind-spirit, Book, Book Read, Book Reading, books, Conversational Programming, cure, Disease, events, Good Reads, guide, handbook, heal, heal self, Heal your soul, Heal yourself, Healing, Health, health management, healthy life, Healthy lifestyle, help, help books, helper, helping, holistic, Holistic healing books, hypnotherapy, Inspirational Books, Life Positive, Life Positive Publications, lifestyle, manage health, manage your health, Manifestation, medicine, meditation, mind-body-spirit, Motivational Books, mystical laws, mystical laws for self healing, mystical laws of self healing, positive life, Programming, Read, Read a book, Reading, reading a book, review, reviews, self discovery books, self heal, Self help, self love, Self-healing, seven mystical laws, seven mystical laws of self healing, soul cleansing, Soul Healing, soul space, spiritual, Spiritual Books, spiritual healing, spiritual read, spiritual reading, Spiritual reads, spirituality, therapy, theta healing, total wellness, Uncategorized, wellness, workshops on 22/08/2014 by lifepositivepublications. Sanjiv Ranjan’s workshop on self-healing carries with it a touch of mystical power that belies his soft and unassuming personality. Defining ill-health as only the absence of health, Sanjiv says that the body is equipped and designed to self-heal; however we complicate matters with our tendency to blame and resist. He defines the four keys to self healing as: capacity to take responsibility, eliminate fears, work on …our beliefs, and loving ourselves. Asking participants to make a list of their fears, he encourages them to see how it was limiting their lives and advises them to focus on the heart, each time fear assailed them. He leads them through a beautiful meditation, asking them to visualise white light from the heart breaking through all the walls built around them, and to visualise a golden ball in the region of the heart shielding them with its protective golden light. He then asks participants to make a list of their limiting beliefs, and to imagine the worst that could happen if these beliefs were true, and to accept them. He leads them through another meditation to heal limiting beliefs, and replace them with positive ones. Post-lunch, Sanjiv dives into the vast subject of self-love. The group is asked to read a powerful oath honouring themselves and to sign it too. There are other exercises they are asked to do, such as writing what their physical, emotional and mental states would be if they were well. With every meditation, Sanjiv adds his own meditation and blessings. At the end of the day, most leave with a sense of benediction and greater hope. We wish the best for this workshop in Kolkata to be held on 24th August 2014 and hope that all the participants return happy. This entry was posted in bmp, Body Healing, body mind, body mind programming, body-mind-spirit, Book, Book Read, Book Reading, books, cure, Disease, events, Good Reads, handbook, heal, heal self, Heal your soul, Heal yourself, Healing, Health, health management, healthy life, Healthy lifestyle, help, help books, helper, helping, holistic, Holistic healing books, hypnotherapy, Inspirational Books, Life Positive, Life Positive Publications, lifestyle, manage health, manage your health, Manifestation, medicine, meditation, mind-body-spirit, Motivational Books, mystical laws, mystical laws for self healing, mystical laws of self healing, positive life, Programming, psychotherapy, Read, Read a book, Reading, reading a book, review, reviews, self discovery books, self heal, Self help, self love, Self-healing, seven mystical laws, seven mystical laws of self healing, soul cleansing, Soul Healing, soul space, spiritual, Spiritual Books, spiritual healing, spiritual read, spiritual reading, Spiritual reads, spirituality, therapy, theta healing, total wellness, Uncategorized, wellness, workshops on 21/08/2014 by lifepositivepublications. This is a high quality edition with very good illustrations. The language is precise and pleasing and the instructions are crystal clear. The importance of spleen, gall bladder and lymph points has been a revelation which are generally ignored in allopathic approach. Several case studies are mentioned. The book gives hope to the sick who can literally take health into their own hands !! A MUST in everyone’s book-shelf. This entry was posted in Acupressure, Alternative Medicine, Alternative Therapy, Body Healing, body mind, body-mind-spirit, Book, Book Read, Book Reading, book review, book reviews, books, cure, Disease, Good Reads, guide, handbook, heal, heal self, Heal yourself, Healing, Health, health management, healthy life, Healthy lifestyle, help, help books, helper, helping, holistic, Holistic healing books, Life Positive, Life Positive Publications, lifestyle, manage health, manage your health, medicine, mind-body-spirit, Read, Read a book, Reading, reading a book, review, reviews, self heal, Self help, Self-healing, spiritual, therapy, total wellness, Uncategorized, wellness, workshops on 17/08/2014 by lifepositivepublications.